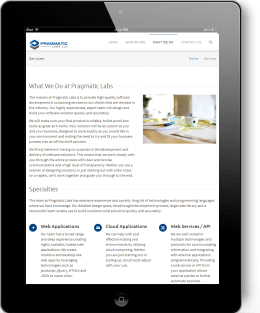 Pragmatic Labs is a custom software development company that creates end to end technology solutions to meet business needs. We can help with mobile application development for iPhone™, Android™, Windows Mobile® and BlackBerry®. 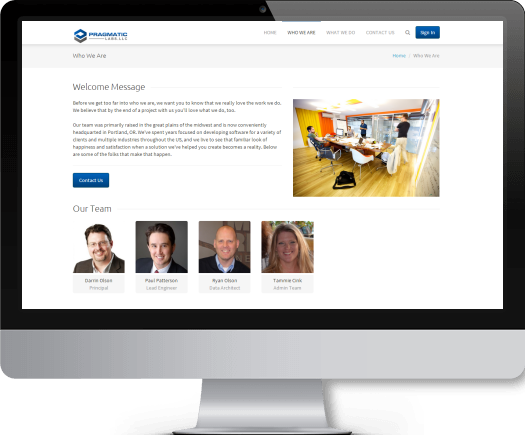 We have over fifteen years of software design, development and implimentation experience in a variety of technologies and environments. More business applications created today are web-based to leverage cross-platform use and to ease deployment. We specialize in building secure, highly functional web applications for business. We'll work with you to create a mobile application that integrates with your business and works on all of the most popular mobile platforms. 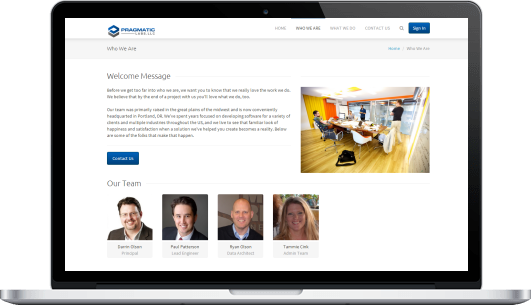 Pragmatic Labs has the experience required to guide you through the decision making process of updating, creating and implimenting software and technology solutions. We've specialized in many projects in the automotive repair industry including estimating systems, CIECA EMS communications and third party administrators. 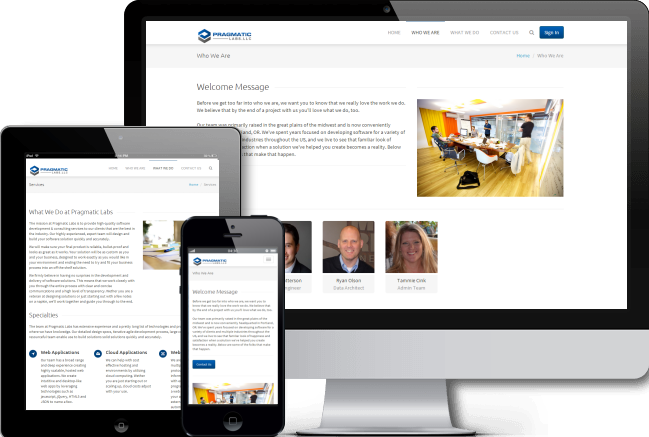 Pragmatic Labs will help you create web sites and web applications with a fully responsive design, doing away with links to a "Mobile Version" or a "Full Site", allowing the same website to work across a wide range of devices from mobile phones to tablets, laptops and desktops.